To assist all ALM HM customers, we are pleased to offer our brochure showing a majority of the metals available from our stocks – please download your copy of The Metal Pages to gain more insight on some of the materials we can offer. Hard copies are available upon request. 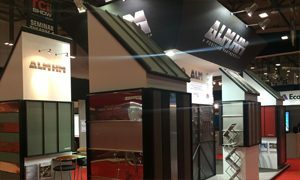 ALM HM has a long history within metal distribution and in this time we have gained extensive knowledge and relationships throughout the industry which ensure that we can supply the materials required at highly competitive prices. Historically metals such as Zinc, Copper, Stainless Steel, Steel and Aluminium involved more expense and longer lead times due to lack of investment in stocks held within the UK. Associated Lead and ALM HM hold extensive stock ensuring that fabricators, installers and end users throughout the UK market can obtain the metals they need quickly and affordably. When customers purchase complete roof systems and accessories from ALM HM, we are able to offer substantial savings – call with complete project details for a free quote. Contact our friendly sales and technical team on 01992 801927 or send us an e-mail. If you would like to contact us via the website out of hours please click here. The UK’s leading distributor of Rolled Lead & Hard Metals to the UK building industry.